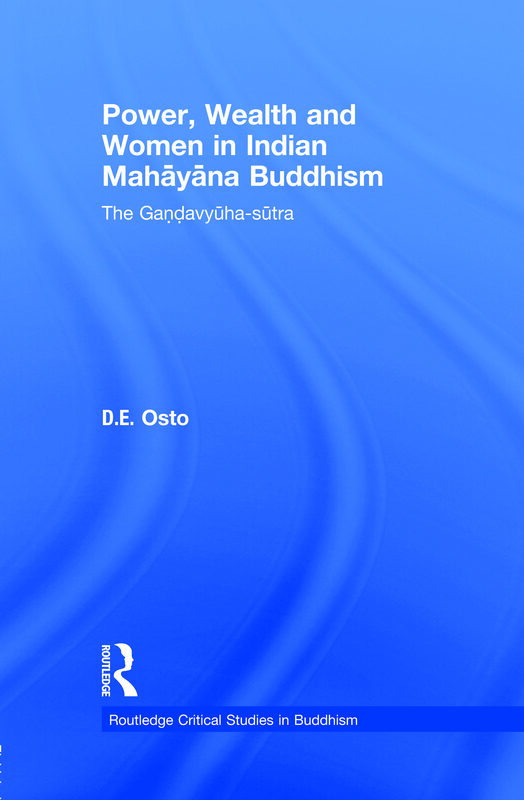 This book examines the concepts of power, wealth and women in the important Mahayana Buddhist scripture known as the Gandavyuha-sutra, and relates these to the text’s social context in ancient Indian during the Buddhist Middle Period (0–500 CE). Employing contemporary textual theory, worldview analysis and structural narrative theory, the author puts forward a new approach to the study of Mahayana Buddhist sources, the ‘systems approach’, by which literature is viewed as embedded in a social system. Consequently, he analyses the Gandavyuha in the contexts of reality, society and the individual, and applies these notions to the key themes of power, wealth and women. The study reveals that the spiritual hierarchy represented within the Gandavyuha replicates the political hierarchies in India during Buddhism’s Middle Period, that the role of wealth mirrors its significance as a sign of spiritual status in Indian Buddhist society, and that the substantial number of female spiritual guides in the narrative reflects the importance of royal women patrons of Indian Buddhism at the time. This book will appeal to higher-level undergraduates, postgraduates and scholars of religious studies, Buddhist studies, Asian studies, South Asian studies and Indology.